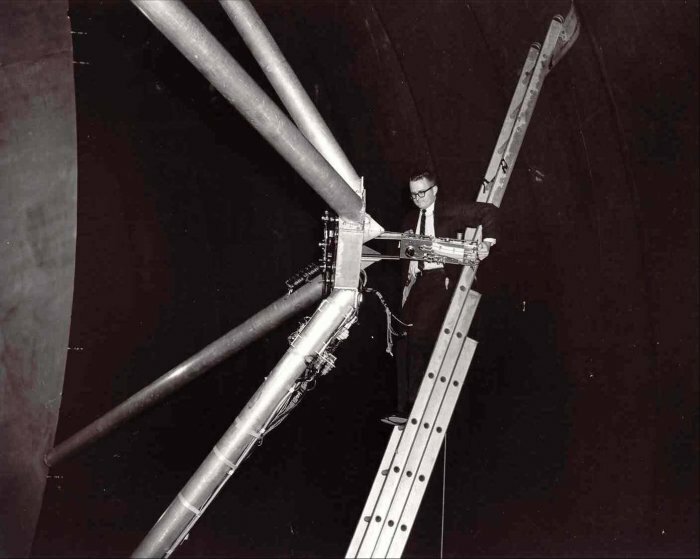 Warren Tyler installs a 75 GHz RF head at the focal point of the Needham radio telescope, 1963. The ladder is leaning against the air-supported radome. Credit: Photo courtesy of Doc Ewen.